Hello everyone! 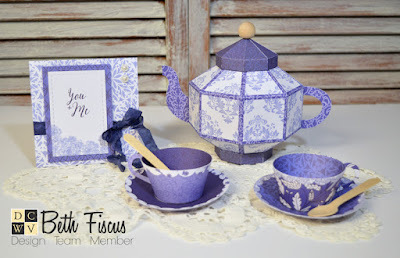 What I am sharing with you today has been on my mind ever since I saw the sneak peek of DCWV's Blue China stack on their Facebook page before the papers were even released in Joann Fabrics stores! I fell in LOVE with that stack. So what did I create? 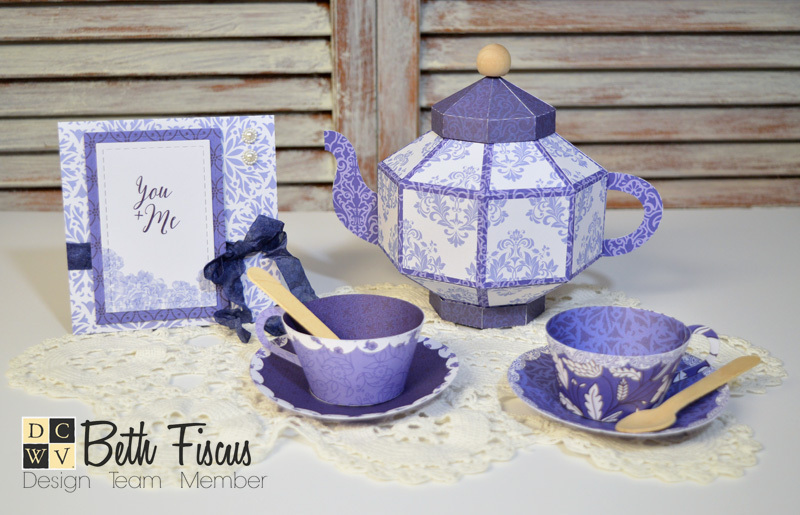 Tea for two, of course! 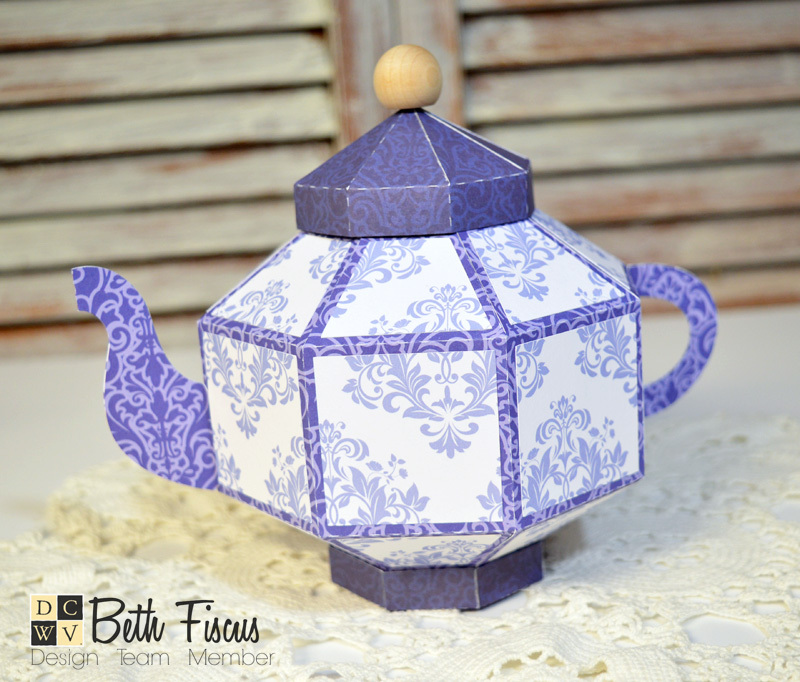 I really wanted to make a teapot, so I used a file from the Silhouette store and my Cameo with the Blue China papers. I added a wooden knob on the top for fun. 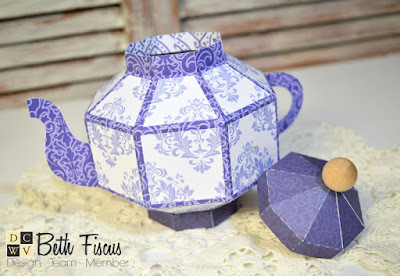 The fun part is that the teapot opens to hold treats and because the Blue China stack is double sided, the inside of the teapot is as beautiful as the outside! Next, I made two tea cups with saucers. They were also files from the Silhouette store. I downsized them to 75% so they would be a little more proportionate to the teapot. 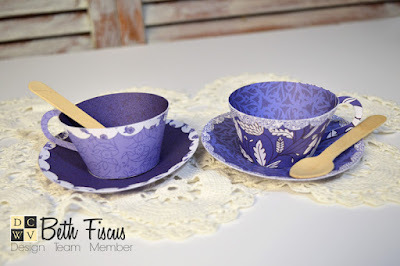 The wooden spoons added a little bit of whimsy to them. 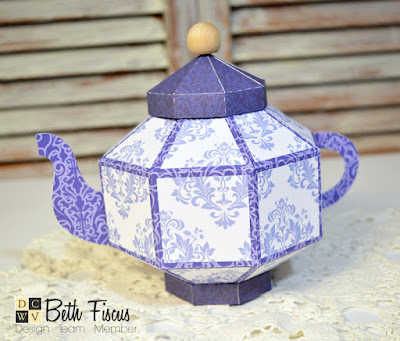 Last, but not least, I created a simple square card using patterned papers and image panel from the Blue China stack. 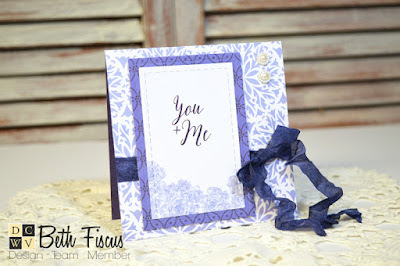 I used stitched rectangle dies, crinkled seam binding, pearls and mini Glue Dots to complete the card. What are your plans for this stack? Very pretty! Perfect timing for Beauty and the Beast too. 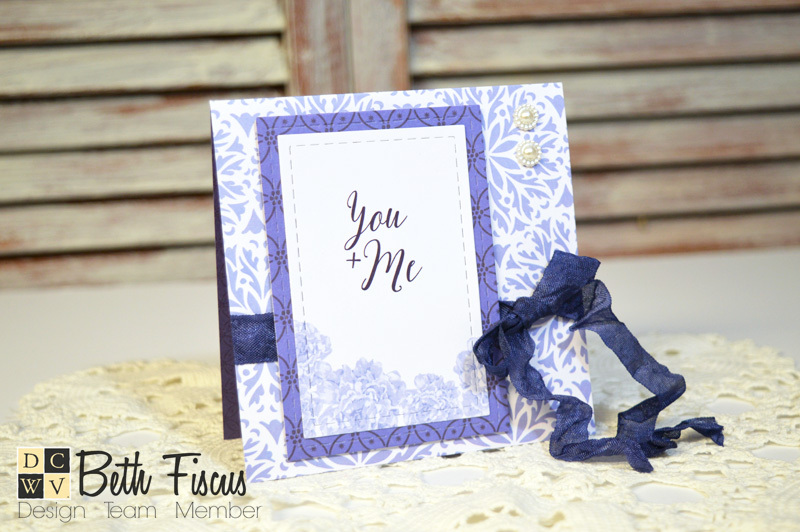 Reminds me of "Be Our Guest".